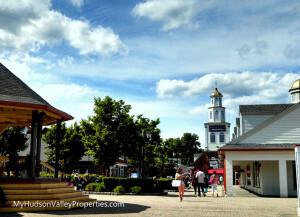 Why not visit Central Valley New York and tour some new homes? New Construction homes are available in many parts of the Hudson Valley. New homes vary in style, shapes and sizes. Prices in Central Valley for a brand new home start as low as $489,000 with four bedrooms home, and details that will certainly make you smile. 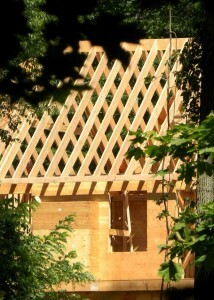 Absolutely stunning features by quality local builders makes your choice an easy one to move from NYC north. Orange County NY has so many options and Central Valley is a premier choice when considering a brand new home. Only fifty miles north of New York City we are a short ride by train, car or bus. While the distance is only a few miles the change in scenery is quite remarkably different and wonderful. Far from the the hustle and bustle of sky scrappers and cement, lies the town of Woodbury NY. Both a town and a village, Woodbury is a small community and covers 2.7 square miles. Located in the south part of town you can find the relatively small Hamlet of Central Valley. Only 2000 residents call this part of Orange County New York their home. Lucky residents are known to have beautiful homes, with well manicured lawns, water, sewer and natural gas in some locations. Living in Central Valley means that you are minutes from every amenity you can imagine. Shopping, golfing, movie theaters, dining, and medical facilities are all available nearby. New Construction homes are part of the landscape but with only a finite amount of land, these homes will not be available for long. As some of the last acreage is developed, the ability to build a brand new home and live in Central Valley is becoming more limited. Those exploring some rather beautiful options are finding that our new homes are a wonderful choice. Commuting to Central Valley is a popular choice as it is close to exit 16 along the New York State Thruway, I 87. Many of our local residents love living in the country and being in the city within a short drive. A lifestyle that balances some pretty great amenities has an ever growing population making the choice. Pricing, value and lower taxes than Rockland and Westchester County is another reason we see new home buyers moving north. Who lives in Central Valley? Anyone that wants to enjoy some beautiful scenery. There are some pretty great options available that encourages new residents all the time. Our median income is about 30% higher in Central Valley than in all of New York State. The area boasts some great perks that only living in the Hudson Valley can offer to home owners. Residents are allowed membership to the Woodbury Parks Department with two swimming facilities. Students that are living in Central Valley attend the Monroe Woodbury School District. Homes in Central Valley are not all brand new. Maybe one of these is more to your liking and price range. Check out what is currently on the market. All homes in Central Valley are listed here.